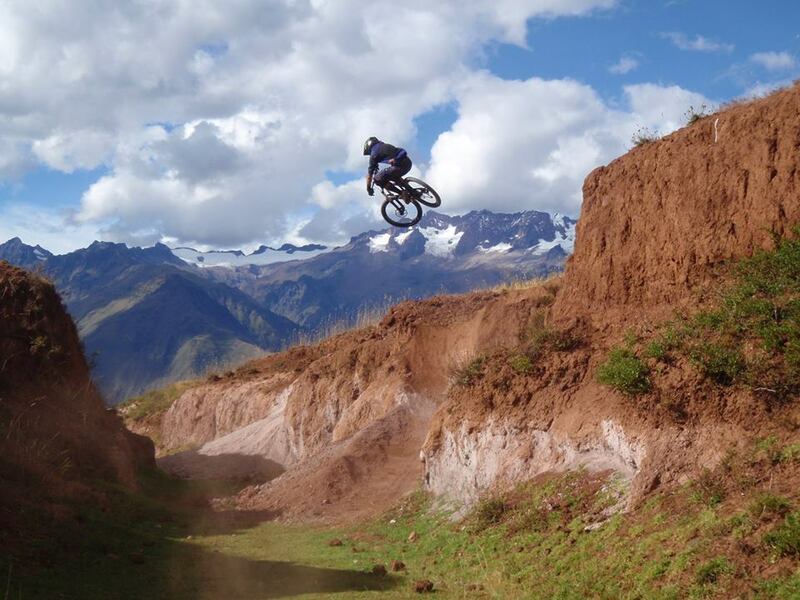 The trip and trailfest both begin in Cusco, Peru on Monday April 22nd 2019, and ends on Sunday, April 28th. 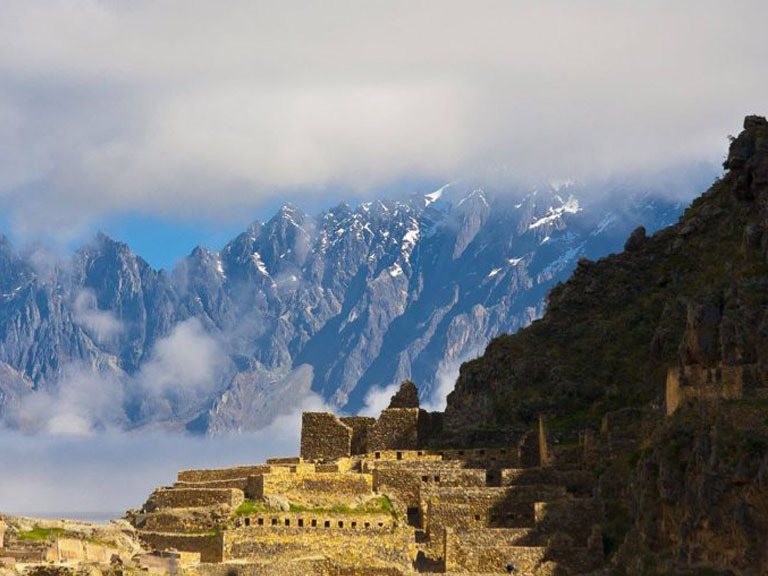 Most people stay in Ollantaytambo the 28th but not all do, so it is not part of the trip. Hotels are reasonably priced and we are happy to help book you one. We run this trip privately starting any date, at any time of year, with minimum of three people. Additionally, we have five fixed dates during 2019 dry season (our winter) where you can join in with just yourself or else with some friends, our groups are small and always max out at 8 people. Day 1 – Arrive to Cusco airport, where our private vehicle, driver, and English speaking guide will all be waiting for you! 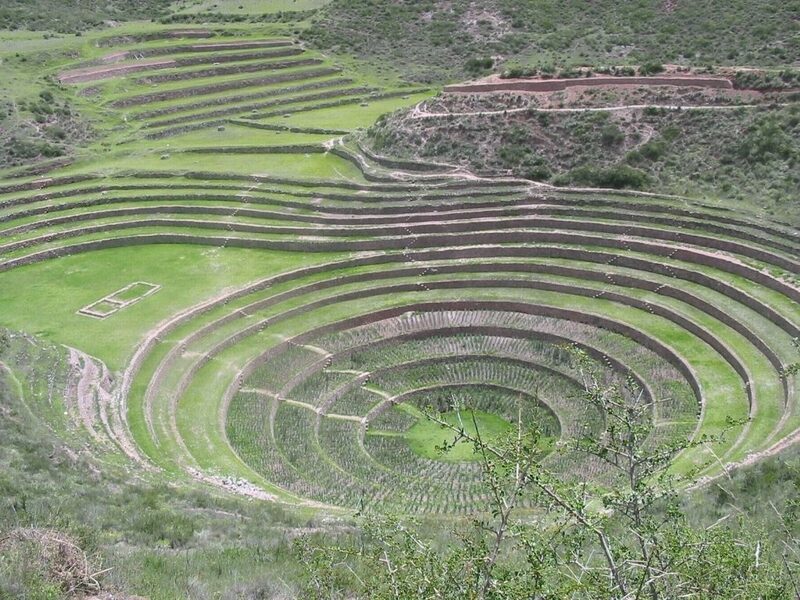 Beautiful, two hour drive transfer to your hotel in Ollantaytambo with a few photo stops along the scenic drive. Check into your hotel, relax, and get your bike set up. We’ll go for a sweet ride in the afternoon, right from our hotel up into the surrounding hills and then blast back down into town. Day 2 – After breakfast of local fresh fruit, coffee, breads and eggs, let the riding begin! 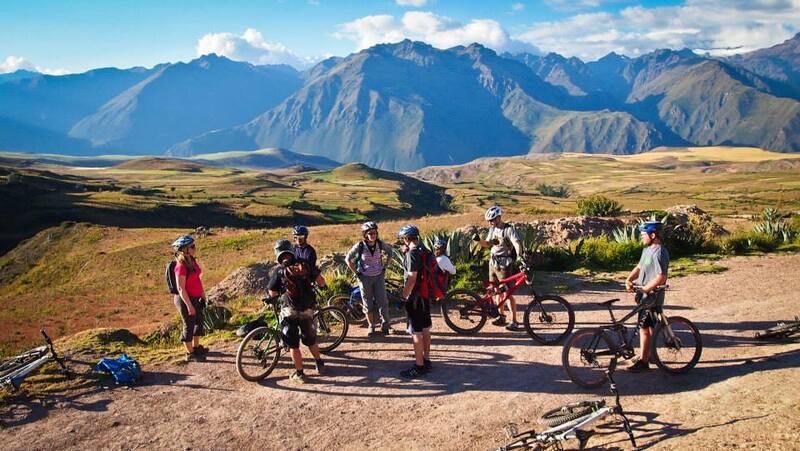 We’ll begin this morning continuing our progression by riding the trails in the Urubamba and Salt Mines of Maras region. We will have time for 3 different full shuttled rides today, and one of them has some pedaling involved so you won’t feel too guilty. We’ll ride some trails exclusive to the KB Tambo team, and overall this zone is dry and fast and makes for a really great day of riding. Day 4 – Calca and Lamay, two of our favorites rides, are on the table for today. 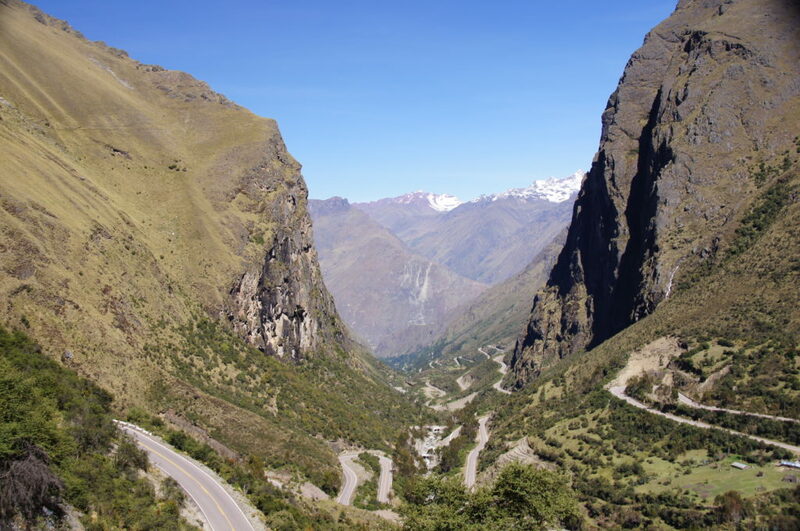 These are two zones that are an hour drive from our hotel in Ollantaytambo, then a little over another hour up to the high point of the road (again, at the Continental Divide and only the Amazon jungle lies below the other side, far down the mountain. We will return via the side that we drove up, each of these routes has fantastic riding flow! 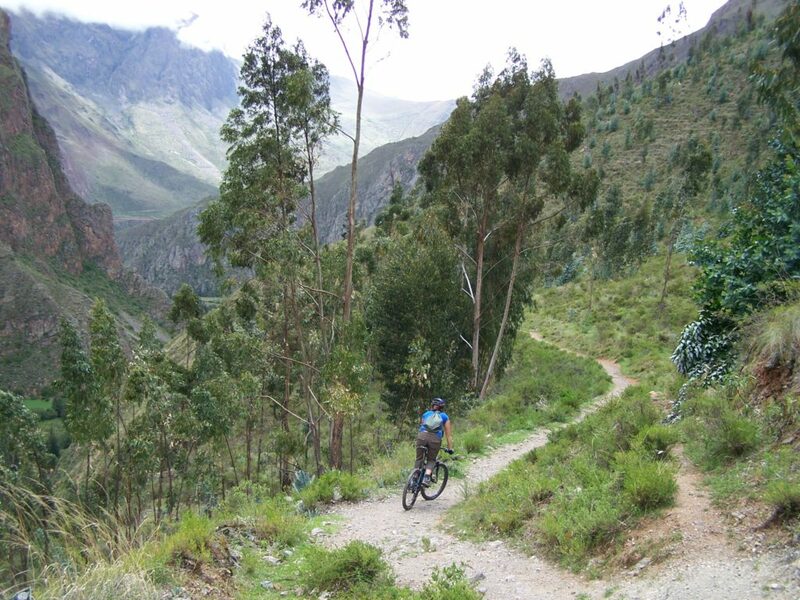 Calca follows in great part an old Inca road, and some technical descending through a narrow canyon complete with some pre-Incan royal burial sites hidden up in the cliffs. 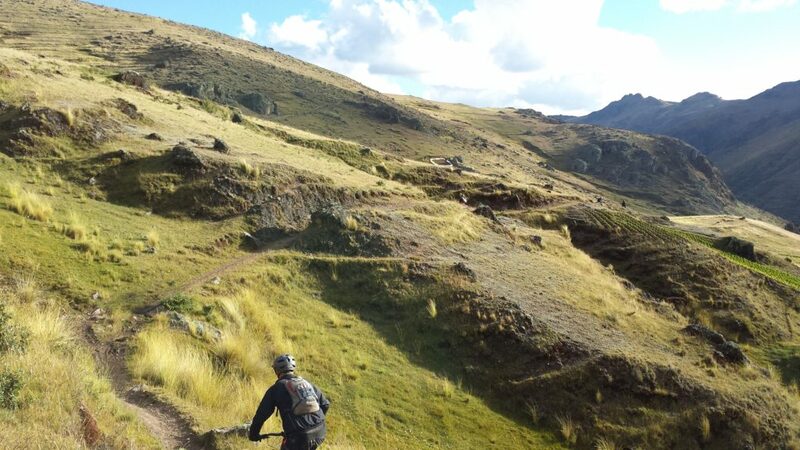 Lamay is full of long, fast descents on a perfect singletrack in a downhill valley of green and views in all directions for miles. A great day of riding, and almost all of it is gravity fed with no climbing. Day 6 – There are 3 options today: Either “Client’s Choice”, where we go repeat your favorite rides of the trip so far; “Guide’s Choice” where you dont want to repeat a previous ride and so the guide will pick one of their favorites that hasnt been ridden yet; or else you can choose what we would have to call an “extreme adventure!” While you dont have to be in amazing shape for this day, you have to be in decent shape and/or be willing to suffer a tortuous steep 3 to 4 hour, three thousand foot ascent up to the top of a mountain and the location of a spectacular Incan lookout and sacred site called “Inti Punku”, or ‘Sun Gate’ in Quechua, the native language of the Incas. This is a long and tough day but has been called by many experienced travelers and bikers to be one of the most amazing days they have ever had on a trip. Either option you choose is up to you, and everything is included and you are sure to have a great day of riding no matter what you choose. Day 7 – A lot of trips will include the last day as a trip but its really just a “Have breakfast and we’ll drop you off at the airport” day. Not us, we try to offer the same full itinerary, and value, that we look for ourselves when we travel. So today is a full day of riding if you have time, on the other hand as it is customary for the last day to be a go to the airport day, that is fine too. Either option you choose, everything is included and your guide will drop you off wherever you wish today, at whatever time, for the end of the trip. 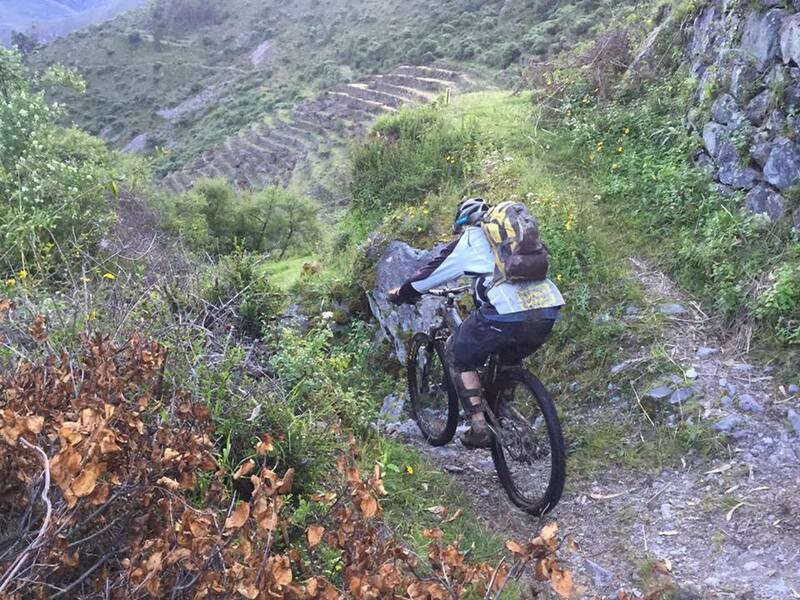 By now you will probably have some aching forearms and legs anyway, ha ha, as you will have descended nearly 100,000 feet of Inca trails in the last week, congratulations ! Thus the trip ends this afternoon, after the day of riding. In part, because by this point people are on different schedules due to flight and work limitations, and some will need to head to Cusco this afternoon to catch an early flight out the next morning, while others may have the time to stay in Ollantaytambo this evening (recommended) and head to Cusco the next day. In either case, your private shuttle for the two hour drive to Cusco or its’ airport is included with your trip. Whenever you are scheduled to fly out of Cusco, be sure when checking in to ask for a seat on the right hand side (a la derrecha) for awesome views of the Peruvian Andes ! Trip Inclusions: Private transportation and English speaking guide the entire week from airport pickup to airport dropoff; 6 nights hotel, (comfortable and well located two to three star hotel, upgrades available for small extra charge upon request), breakfast Days 2 through 7; Machu Picchu standard entrance ticket, Round trip train ticket, Round trip bus ticket. It also includes unlimited phone and email support with our owner from beginning to end, including 24/7 support in English to a toll free US number while you are in Peru. You first fly to Lima, Peru. (LIM) Some, but not all, USA airlines will book you all the way through to Cusco (CUZ). 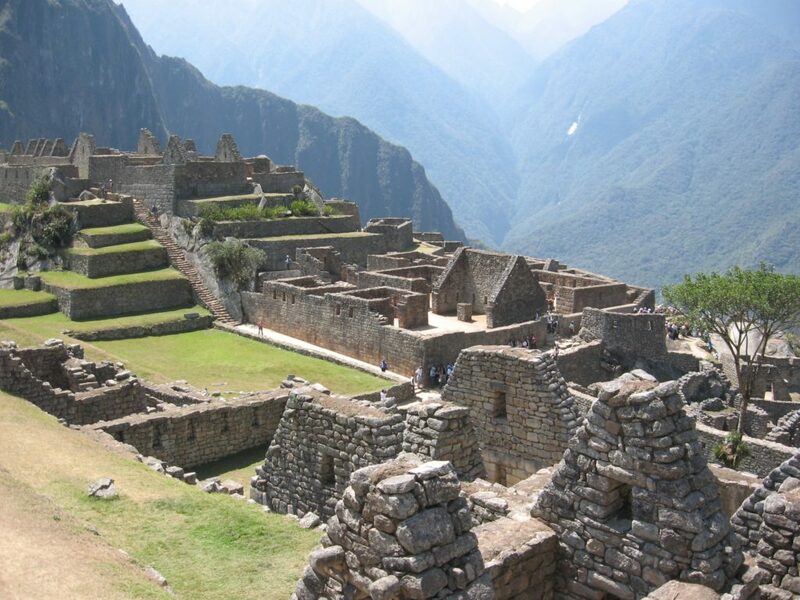 It is preferable to buy 1 ticket that goes all the way to Cusco, but it is also common for people to buy one roundtrip ticket to Lima, and a second one from Lima to Cusco, separately. Almost all flights to Lima arrive late at night. Almost all flights to Cusco from Lima go from early morning to early afternoon. It is common but not ideal for folks to spend 4 hours or so at Lima airport, as thats too short of a layover to leave. But it comes right at the peak sleeping hours we all need (midnight to 4am) so its a rough go. 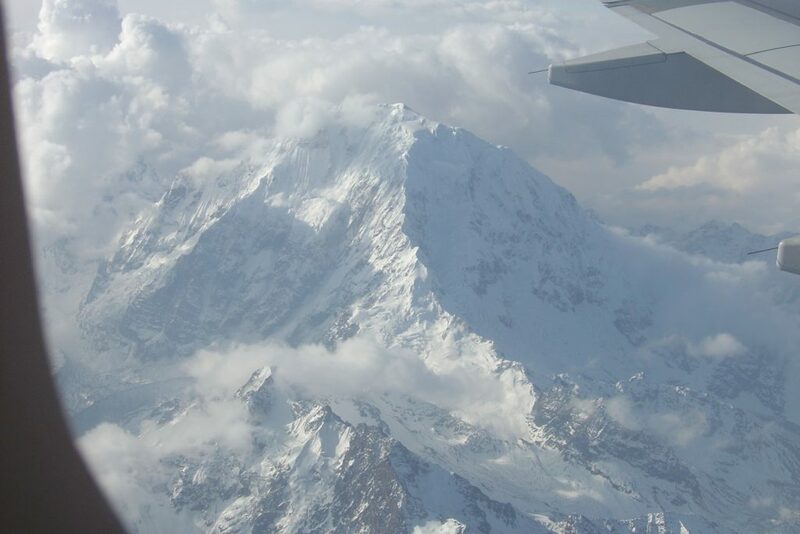 If one has the extra time, it is advisable to fly into Lima a day or two earlier and break that flight pattern. 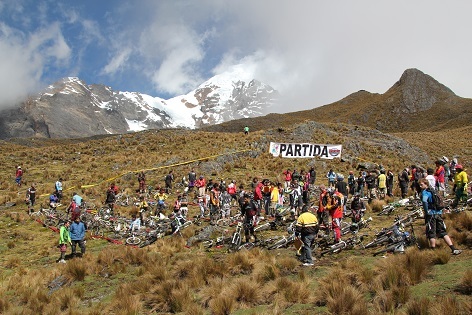 You should be in Cusco Monday morning April 22nd, 2019 between 6am and 9am if possible. If not , dont worry we can make custom arrangements with you. You can fly out as early as the following Monday morning from Cusco, April 29th. Or later if you wish. Be sure to coordinate well with your Lima to USA flight, and as they all leave just before or after midnight, double check the date of your proposed ticket purchase, as 01:50am on Monday the 30th would actually leave late Sunday night the 29th, (a few hours after midnight so technicallly Monday but in reality is late Sunday night). That is a common hiccup people make when booking tickets. We will need in order to get your train and MP tickets, your full name, birthdate, gender, and passport number, and country that issued you the passport. We dont need the exp date of passport, or original date, where, etc and we prefer you dont send those at all. A few things to note: There is readily available, but slow, wi-fi at your hotel and at most restaurants in town. Not much available while we are out riding every day though. 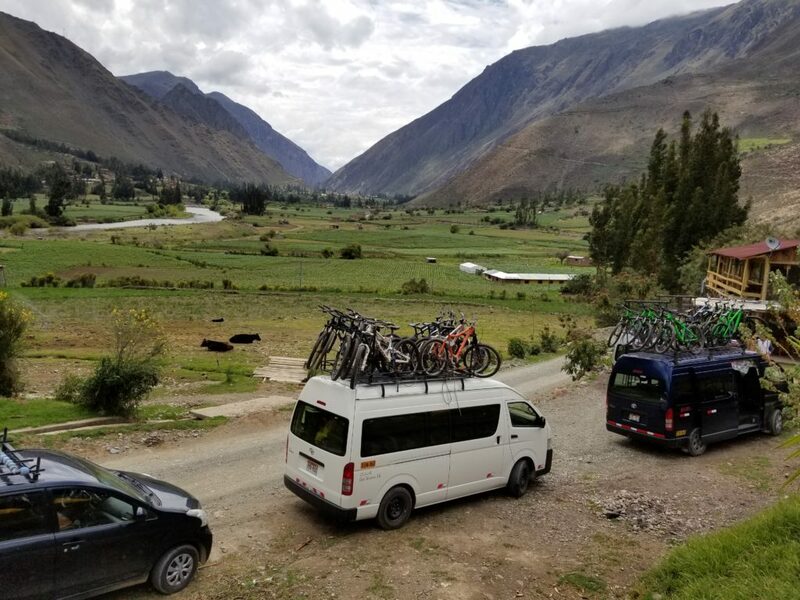 Our basic daily pattern is shuttle based: we drive up long paved or sometimes dirt roads, very high up to the top which is usually over 4000 meters (13,000 feet). Then we ride singletrack down. Its fun. We usually do 2 drops a day, averaging over 4000 feet of descent each. sometimes we get in 3 drops. we leave the hotel by 9am everyday, breakfast is served right at the hotel. We have lunch a few times at restaurants, and a few times bag lunch style. KB Tambo provides unlimited free snacks during the days of riding. 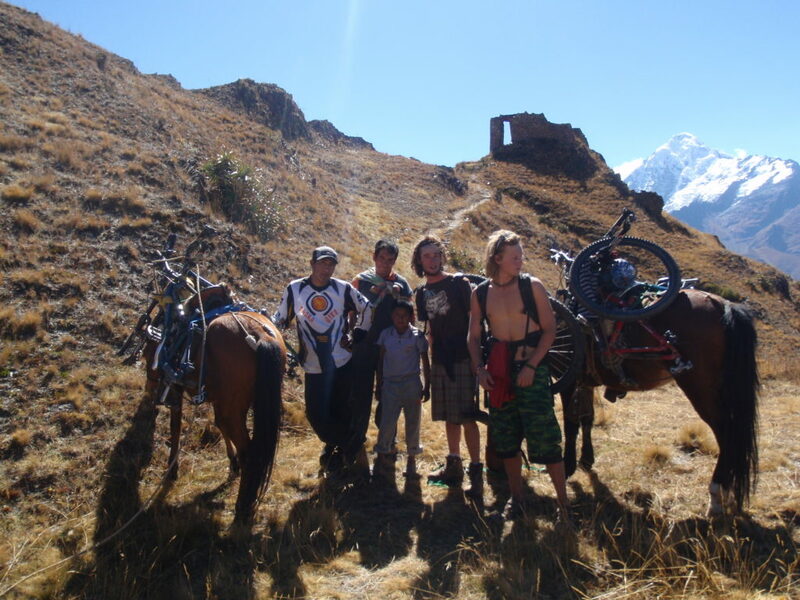 There are no bike supply or repair facilities in Ollantaytambo. There may not be a compressor available, if you run tubeless for example. You should bring any and all tools you need to maintain your bike (within reason of course) and also some replacement parts (in particular a rear derailleur hanger and brake pads, and if run a dropper post a spare seat post non mechanical might not hurt). For tires we would recommend a pretty fat and aggressive tread pattern, a Maxxix Minion DH 2.6 or something like that works pretty well. 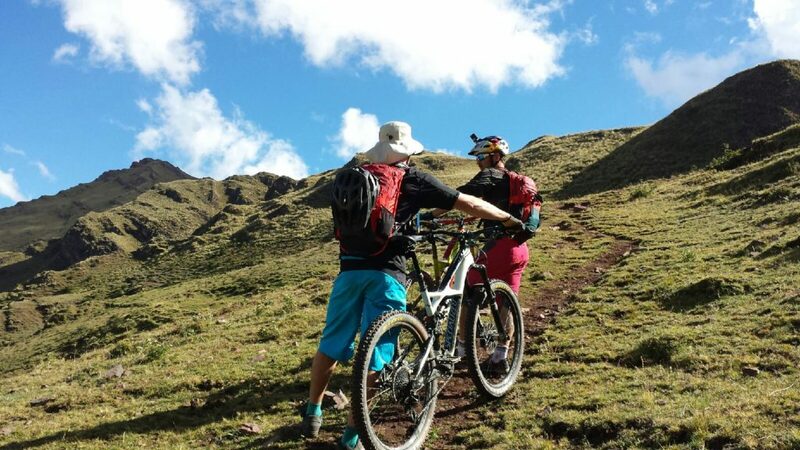 For bike, we recommend an enduro or trail bike and not a downhill bike. There is not much pedaling on the trip, but there is some, and some pushing bike up short clymbs and features. So, anywhere from 125 to 160mm travel is probably the sweet spot. 26ers,27.5, and 29ers all welcome. Just email us at kbperu@hotmail.com and we will give you all the local beta! !